Central Railway Recruitment 2016: The Railway Recruitment Cell and Central Railway (RRCCR) has been declared the advertisement for the post of Apprentice. There are totally 2326 vacancy. The applicants who are seeking the latest govt jobs in Mumbai can apply the RRCCR recruitment 2016. The candidates can apply the online application for the RRCCR Central Railway jobs 2016 start from 1st November 2016. The last date of online register on 30th Nov 2016. The application are invited from the eligible candidates only. The aspirants who are going to apply the RRCCR Mumbai vacancy 2016 before check the eligibility details on the Central Railway notification 2016. 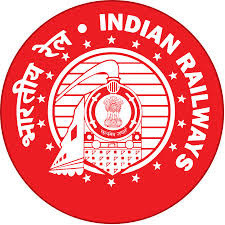 Here you can get the direct link for the RRC Central Railway recruitment 2016 online application & advertisement. So the applicants can easily apply the RRCCR application form 2016. If you want to know the more details about the Central Railway vacancy 2016, you must log on the official site www.rrccr.com. Other details like age limit, educational qualification, pay scale, how to apply information are available here. The applicants must apply the online application before the closing date of application. Suppose you have any query about the RRCCR recruitment 2016, then you have to write the comment to us. Our team member will be happy to help you. Organization Name: Railway Recruitment Cell, Central Railway. Content Name: RRC Central Railway Recruitment 2016. The applicants who complete the 10th standard exam or it's equivalent academic qualification from the recognized University/Institute can apply the RRCCR recruitment 2016. The applicants must have the age limit between 15 to 24 years as on Nov 1st 2016. The age relaxation will be applicable for the reserved candidates as per the govt norms. The candidate need to pay Rs 100/- for the application fee through the online/offline. There is no fees SC/ST/PWD aspirants. The application fee is not refundable. Read the RRCCR Mumbai notification 2016. Enter the application with correct details. Start date of online registration: 01.11.2016. Last date of online application: 30.11.2016. RRC Central Railway Recruitment Notification 2016. Central Railway Recruitment Online Application Form 2016.